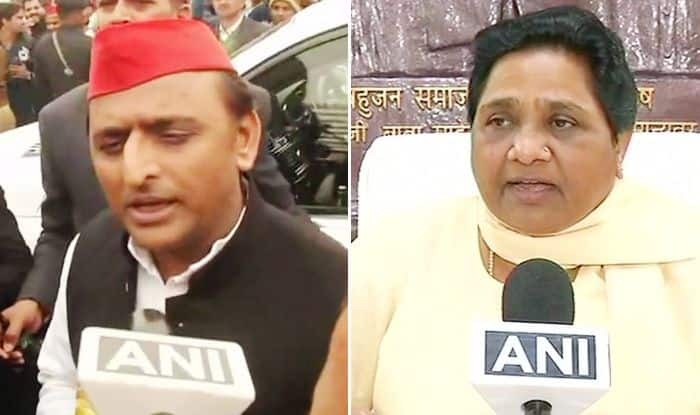 While Mayawati said that the EVM matter must be resolved keeping in view democracy's larger interest, Akhilesh reiterated similar sentiments saying that the Election Commission and the government should make a decision. Lucknow: An Indian cyber expert had claimed that electronic voting machines (EVMs) can be hacked and said that the 2014 general election was rigged through EVMs. On Tuesday, the cyber expert’s remark triggered reactions from the Bharatiya Janata Party (BJP) as well as from Bahujan Samaj Party (BSP) and Samajwadi Party (SP) chiefs. While the BJP vehemently denied the sensational claim saying the cyber expert failed to provide any proof for his allegations, leaders like BSP chief Mayawati and former Uttar Pradesh chief minister Akhilesh Yadav said the matter needs to be looked into. While Mayawati said that the EVM matter must be resolved keeping in view democracy’s larger interest, Akhilesh reiterated similar sentiments saying that the Election Commission and the government should make a decision. Earlier today, Union Law Minister Ravi Shankar Prasad said that the press conference by the Indian cyber expert Syed Suja in London, where he alleged EVM rigging in the 2014 Lok Sabha polls, was a “Congress-sponsored event designed to defame the popular mandate of India”. Terming the allegations by the cyber expert as “Congress’ false agenda”, Prasad said that the allegations of EVM hacking in 2014 Lok Sabha elections were completely baseless.